Yay! 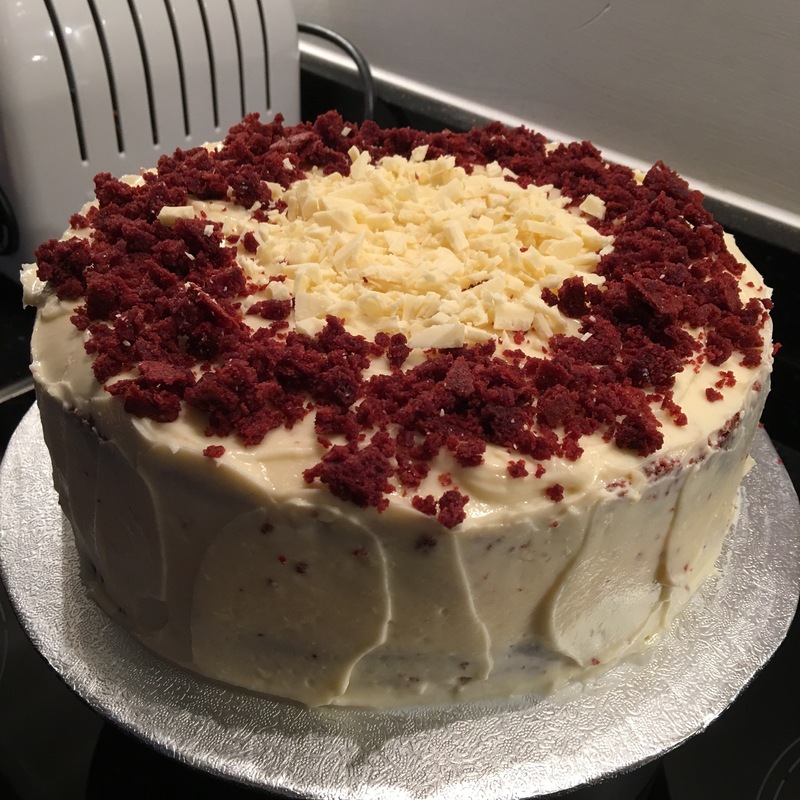 I just celebrated my birthday and made 2 red velvet cheesecake with white chocolate shavings. 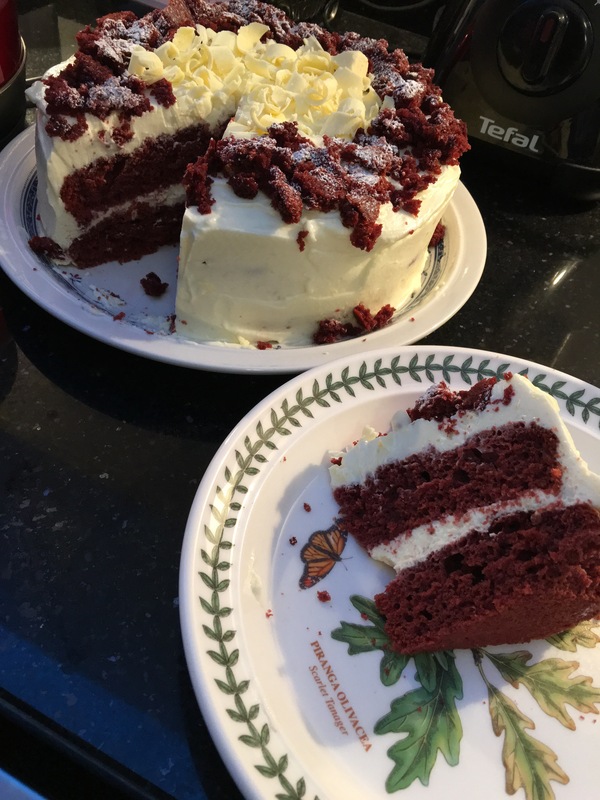 I used Eric Lanlard’s recipe which I found on youtube. Click the link below for the recipe. I doubled the cake batter to get a thicker cake. 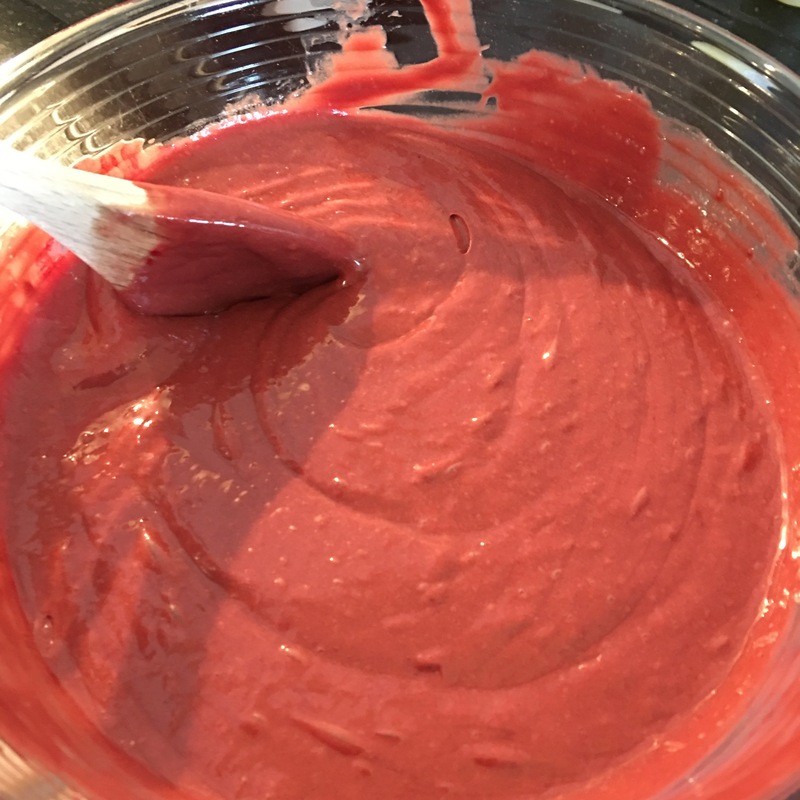 You can use any red velvet batter recipe, if you prefer with oil instead of butter or you can also use a cake mix from a box, I think this should work too. Whatever tickles your fancy! ← Happy Red Velvet Cheesecake!